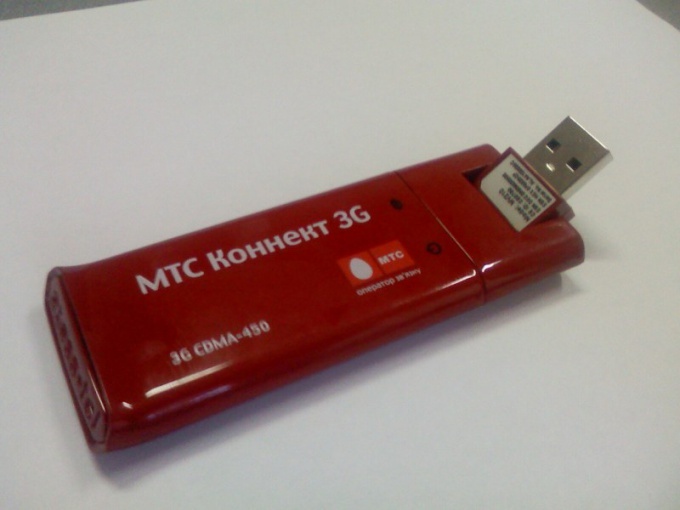 USBmodem company MTS – the device is light, compact and versatile. Some models of modems have slots for memory cards so you can use them not only for web surfing, but also for transferring files. And set the modem to the computer and connect with it to the Internet I can even a beginner. The only condition is that you must be in the coverage area of MTS. Select a 3G modem with the most attractive technical specifications in the online store or a regular store-shop of MTS. Choose the appropriate rate from the list of offers of the company. Make a purchase. Also purchase a USB extension cable. This is optional, but in practice it is often useful. Cable application will allow you to place the modem at the point with the highest signal level. Just don't buy too a long cable – it may happen that due to unavoidable losses during data transfer computer operating system is not able to recognize the modem. Install the SIM card into the designated slot of the modem. Detailed instructions on how to do it correctly, look in the "user's Guide – it should be in the box together with "dialling MTS . Turn on the computer. 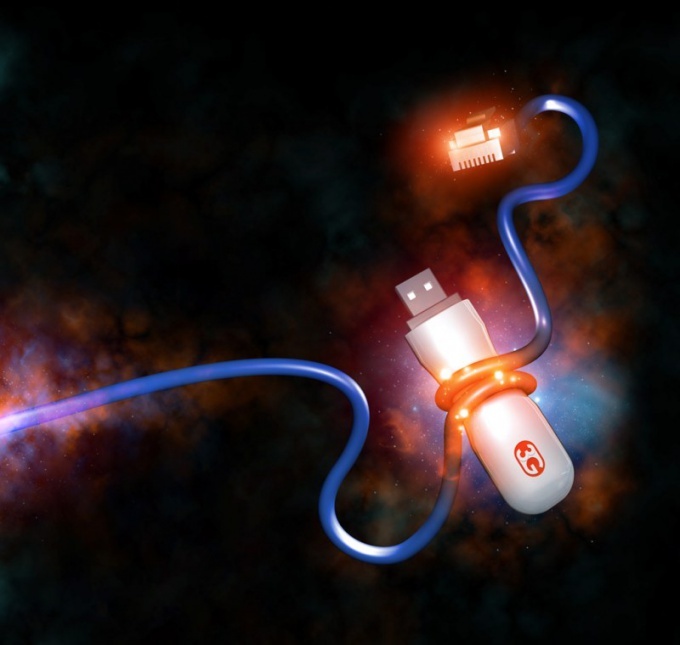 Connect the dongle to any free USB port on your computer directly or via an extension cable. Wait until the end of the automatic installation of the modem driver and management program "connection Manager . If autorun does not work, open the folder with the files of the modem in the Windows Explorer and run AutoRun.exe manually double click. Wait until the "connection Manager detects the modem and network – in the program window will display "SIM card is ready to use . If the signal is too weak or it does not, move the modem to another location using an extension cable (the signal strength indicator located in the upper right corner of the program window). Connect to the Internet by clicking "Connect . If the 3G coverage area unstable or non-existent, pre-change network type in menu "Settings "the priority of the 3G or "Only EDGE/GPRS . Once the connection is made, the program window will display "Connected to 3G (or "Connected to 2G , if you changed settings). Follow the progress of connection in the program window and the indicator on the body of modem. When a call is connected, the led should be lit continuously. The led color will vary depending on the type of network – 3G, EDGE, etc. read More about this you can read "user Guide . Significantly improve the quality of communication will help amplifiers for 3G modems that can be purchased in stores. But "folk recipes" also should not be ignored. As practice shows, the use of pots and cans for signal amplification also allows to achieve a noticeable effect. 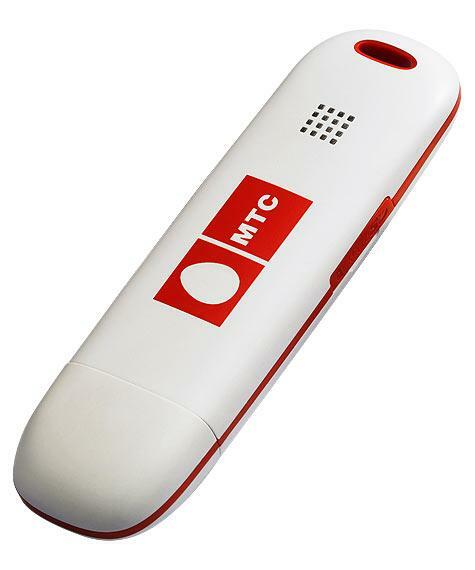 Wireless modems from the company "MTS" are supplied as easy as possible to configure, typically you only have to connect the modem, install the supplied software and you can begin to work. However, in some cases you may require additional connection setup. In the software offered, together with a modem, you can configure settings such as limiting the network to connect and recognize modem computer (as a modem or network card). If you do not want to use the attached program "MTS connect", you can configure the connection by regular means Windows. Create a new connection type is Dial-Up. Specify the dial - *99#, username - mts, as a password - too mts. Now open the modem properties in device Manager, go to the tab "Additional settings" and enter the string in "Extra initialization commands" following data: AT+CGDCONT=1,"IP","internet.mts.ru" . Use the connection as a regular modem and use the Internet. USBmodem each person can feel truly free. This device allows you to connect to the world wide web almost anywhere in the world. Before you can appreciate the comfort of wireless Internet, you'll need to connect the modem to the computer. Before you can enjoy the Internet from MTS, you have to choose for yourself the best tariff plan. The company today presented a whole range of tariffs, each of which is designed for the specific needs of the user. In choosing the best option you will help the Manager of the company when purchasing the modem. Once you choose a service plan, the Manager activates the SIM card for Internet access. 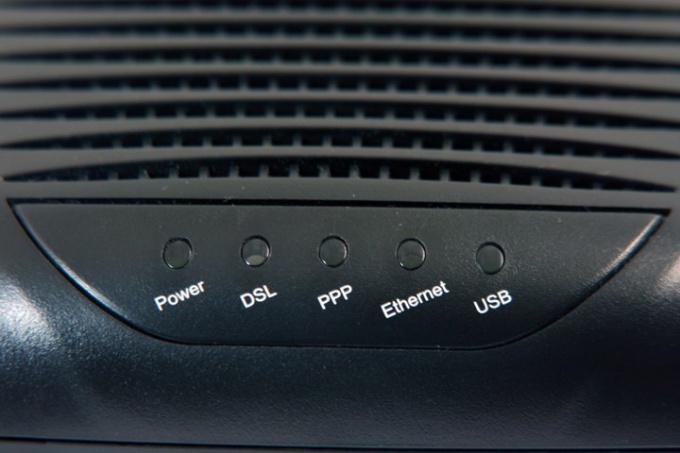 Once your modem is activated, you will be able to use the Internet on any computer. Connect USB modem to PC. Plug the device into any free USB port on your computer and allow determination of the modem system. Before you get access to the Internet, you have to install the necessary software on your PC. This does not require any special drives. The installer is required to be launched automatically once the modem is connected to your computer. After starting the installer you need to specify the destination directory of the software installation. You can not change the settings, leaving the parameters of the installation by default. To do this, always click the "Next" button, and then click "Install". Software installation will last no more than two minutes. When the installation is complete, restart the computer by specifying the appropriate command in the menu "start". After reboot you will be able to access the Internet via a USB modem. For this you need to launch the application using the shortcut that is created on the desktop. 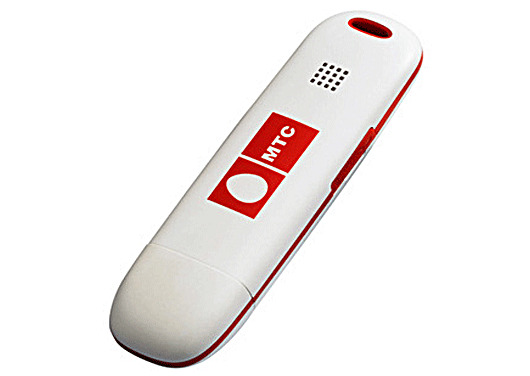 Mobile modems MTS is designed to access the Internet with a laptop or PC with a USB port. This type of connection is quite convenient, as it can be used in any place where there is signal operator. To find out why the modem stopped working, first check the balance on his SIM card. With some rates even small amounts in the account may be deemed to be insufficient to implement an Internet connection. View on the official website of the operator information about the requirements for balance. Carefully read all provisions of the conditions, as there may be hidden limitations. Check the performance of your modem on another computer. If on another computer, the modem is functioning, then the problem must be sought in the software of your computer. If the modem does not work and there is a high probability that it has failed. Read about the main problems that can occur when working with the modem. As a rule, all described in a special user that installs with the modem. Check whether a modem program for MTS and the operating system. To do this, run the program "MTS connect" and wait will determine whether it is connected to a modem. At the same time you can run "device Manager" and check whether the modem is in the list of installed equipment. Install the latest version of drivers for your modem. As practice shows, you can find them on the official website of MTS or through search engines. Check the settings of antivirus programs or any program with functions of Firewall. If no antivirus program, then install it and run a full scan of your computer. In case of serious damage to system files, you will need to reinstall the system. Sometimes it is easier to carry out this procedure than to understand the intricacies of the conflicting programs. If you reinstall the operating system do not forget to transfer important data to other media. Currently, mobile communication is available even in remote villages. Its rapid development made it possible to develop the device is wireless Internet - USB-modemthat works with SIM cards of mobile operators of mobile communication. If it fails do not rush to throw it away: everything can be quite simple to restore. Turn on a personal computer. Click "start" and from the menu select "My computer". Clicking with the right mouse button on this line will open a list of commands. Select the most recent, called "Properties". Click the "device Manager". A window will appear currently connected equipment. Select the name of your modemand (Beeline, MegaFon, etc.). Open its properties. Each provider is technical support. If you for example use the services of the company "the Megaphone" then the number you need to call will look like this: 0500. Referring to this service, find out what your settings should be in your model the USBmodem. In its Properties, enter the settings and save them. With the new settings, create a network connection using your modem. If it does not resolve a problem with the USBmodemand use a different recovery option. After determining the model of your modemand download online the right program for firmware. Note: the installation process for the firmware of the modemand needs to run on a computer on which Windows is installed. Once you have downloaded the file with the firmware, check their antivirus program. Next you need to remove the SIM card from the USBmodemand shut the computer. Connect the modem to the computer and run the setup program for the firmware. Wait until the procedure for the replacement and upgrade files. If a window opens with a prompt for the path to the device drivers, specify the folder where you have installed FOR your modem. If after flashing your modem refuses to work, check whether the version installed ON your model of USB device. In any case, do not perform the process of installing the firmware from the laptop if you didn't do it earlier. This procedure may cause the system to crash as the laptop and the modem. Contact the service center. Most peripheral devices you need a driver or special software. To update modem drivers, you need to try all available methods. The bulk of USB modems designed to access the Internet via GPRS or 3G, have a certain amount of internal memory. It can be stored the driver files. Turn on the computer and connect it to a USB stick. Wait some time until the operating system will automatically search for drivers. Click on "My computer" and verify that the new external drive. Open its contents and run the installer. If such an application is missing, go to the properties of the item "Computer", available in the menu "start". Go to "device Manager". Find equipment marked with an exclamation point. Open its properties by clicking right mouse button on the name of the modem. Go to the submenu "Driver" and click "Update". To start, specify the automatic file search. Repeat the algorithm, choosing "install from a list or specific location". Click "Browse" and select the USB drive built into the modem. Wait for the installation work files. Try to find necessary software, by visiting the website of the developers of 3G-modem. In addition, some drivers can be found on the website of the ISP to which you are connecting through a modem. Download from these sites software and follow its installation. Reconnect the modem and try to activate the device. Complete with portable DSL modems and routers typically are shipped with special discs. Insert the drive in the drive. Wait for the startup disk. Install the suggested programs using step-by-step menu. Restart the computer and the router after this procedure. 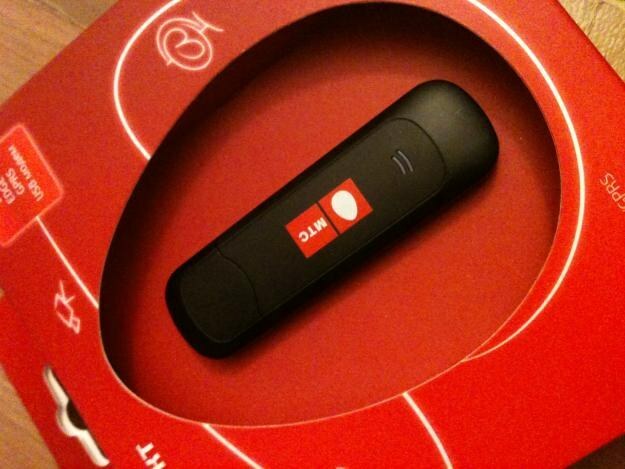 Often for any reason people can't have wired Internet access and therefore acquire a modem, for example, MTS. But for various reasons the quality of the goods purchased does not meet certain requirements, and it wants to return to the seller. To return the modem back to the store, do the following. Come in store and ask to take the item back, explain the reason for the return. Refer to the law of the Russian Federation "On protection of consumer rights" from 07.02.1992 g. it is said that if the operation of the product revealed any flaws that are not stipulated by the seller, you have the right to terminate the contract of sale, to demand to return money for the goods. You also have the right to demand to replace the goods with the recalculation of its price. Write a written claim for a refund of the modem. In it, specify the name and address of store where purchase of the goods, the number and time of purchase. Also fill in your details: full name, passport details, and address. Then describe the claim and specify clear requirements (for example, to return the money or replace the product). Put your signature and date. Claim written give to the seller in hand. Document make two copies, one of which is Express yourself. Demand that on your instance, the seller stamp or signature. This will confirm your appeal. If within the specified period on your requirements did not respond, contact the CPS or the society for the protection of the rights of consumers. To return the modem MTS of improper quality you can within its warranty period, which is specified in the contract of sale. The thing must be of good marketable appearance, consumer properties are saved. Also you should make the commodity or cash voucher, which confirms the fact of purchase in the store. To submit a claim, you can mail a letter with notification. The notice will be proof of your address to the store.